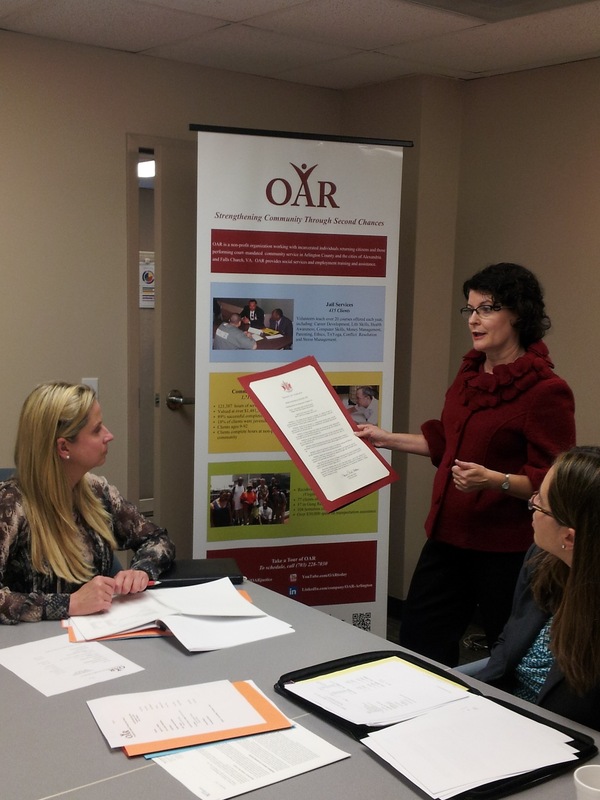 Tuesday, September 23, Senator Barbara Favola presented the Board of Offender Aid and Restoration (OAR), a copy of a State Senate Resolution, dated June 12, 2014, in honor of OAR’s 40th Anniversary. Last year, OAR provided assistance to 622 individuals returning home from incarceration. OAR volunteers taught 415 clients inside the Arlington County Detention Facility. And OAR oversaw 1,717 court-mandated community service clients.